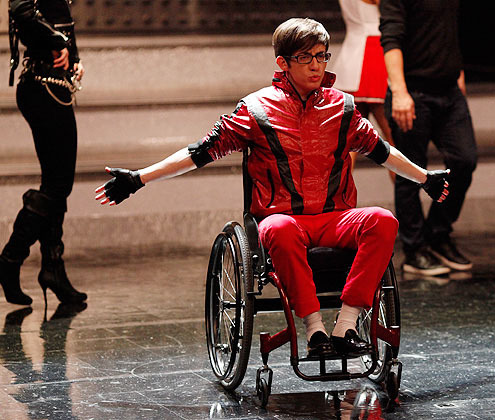 In a dream sequence set to "Scream," Kevin McHale's Artie will get up out of his wheelchair and dance. "He’s probably our best male dancer, second to Harry (Shum Jr.)," says Lea Michele. Darren Criss' Blaine and Harry Shum Jr.'s Mike take center stage in "Wanna Be Startin' Somethin'." During rehearsals, Criss said, "I'm nervous I won't be able to do some of the moves, which are so iconic and cool." "I loved Michael Jackson," raves Matthew Morrison, whose Mr. Schuester opens the episode by writing "WWMJD" ("What Would Michael Jackson Do?") on the chalkboard in response to school bullying. 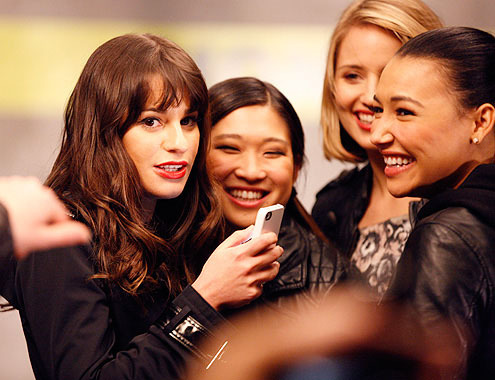 Lea Michele checks her phone, with Jenna Ushkowitz (Tina), Dianna Agron (Quinn) and Naya Rivera (Santana). "It's been the most incredible journey we've gone on with each other," says Agron. Heather Morris (Brittany) and Jenna Ushkowitz (Tina) work on their dance moves for the "Bad" number. Darren Criss (Blaine) leads a number in the McKinley halls with Morris, Chris Colfer (Kurt) and Rivera. 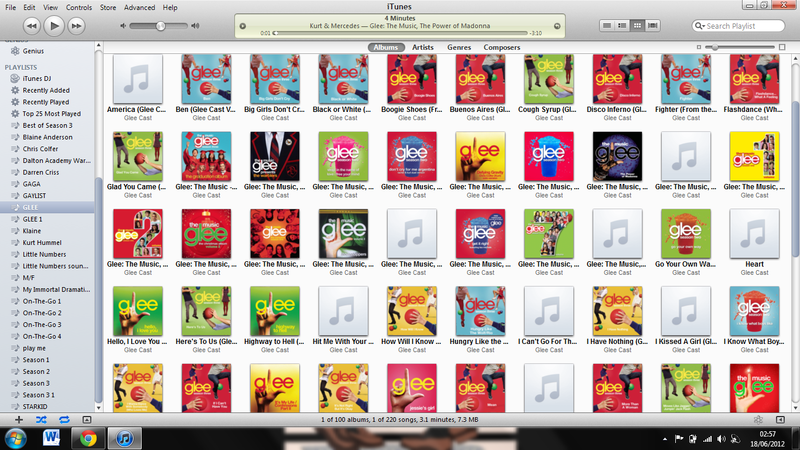 Dianna Agron (Quinn) and Kevin McHale (Artie) find the beat. 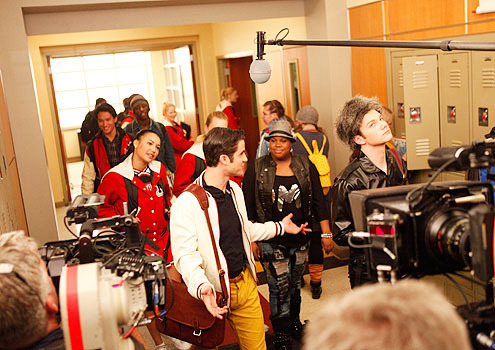 The Gleeks films a scene in the school hallway. There's a huge development for Finchel (Cory Monteith's Finn and Lea Michele's Rachel) fans in this episode. Naya Rivera (Santana) and Kevin McHale (Artie) goof around in a down moment on set. The glee club kids take their positions for a scene. Heather Morris (Brittany) and Lea Michele (Rachel) in the parking structure where Glee's "Bad" number was filmed. 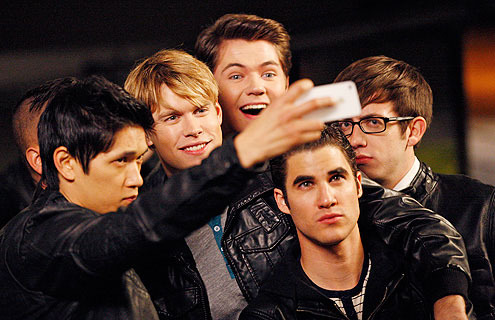 Chord Overstreet (second from left), suffering from a case of laryngitis, was feeling low energy but still clowned around with (from left) Harry Shum Jr. (Mike), Damian McGinty (Rory), Darren Criss (Blaine) and Kevin McHale (Artie). 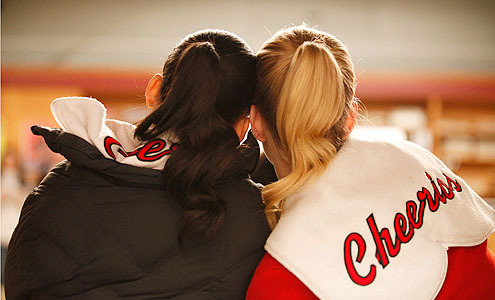 Naya Rivera (Santana) and Heather Morris (Brittany) share a moment.